Growing your own fruit and vegetables can be both a challenging and rewarding experience and beneficial to your diet and health. As with fruit and vegetables growing flowers also contributes to the improvement of our emotional health and relieves stress. Aphids are soft-bodied insects that feed on tender new leaves that come in all colors depending on the plants they feed on. A non toxic pesticide can be made with 1 cup of vegetable oil and 1 tablespoon of dishwashing liquid. Mix the solution with 1 teaspoon per cup of warm water and spray on affected areas. The soap washes off the aphid's protective waxy coating and causes dehydration. Vegetable oil on the other hand will clog the aphid's respiratory system. Another way to deal with aphids is to encourage predatory insects such as ladybugs or ground beetles to feed on them. Instead of leaving moist, damp, shady areas in your garden for moss to grow use plants that tolerate or even prefer shade. If you have an area of your garden with little water and little light, hosta plants are an excellent choice as they have a greater mass than other plants suitable for dry shade and form a leafy garden dense enough to choke out weeds. They have an excellent range of colors, textures and shapes and can tolerate all soil types except heavy clay or pure sand. In areas that are not so dry consider a flowering dogwood tree as they prefer cooler spots, namely shady areas. Do you have a gardener in the family? What a great Mother's Day or Father's Day gift idea. Practical yet entertaining. 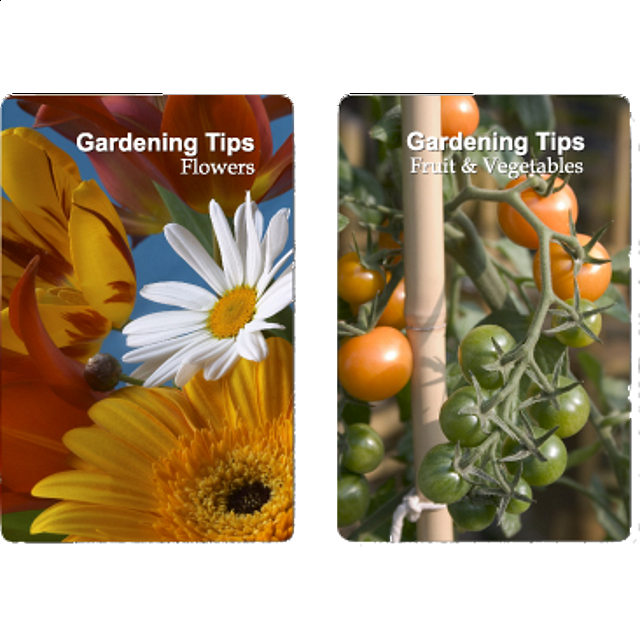 Dig up a double deck of our Gardening Tips Playing Cards and may your "green thumb" grow even greener. Comes in two individual packages of 54 cards each.